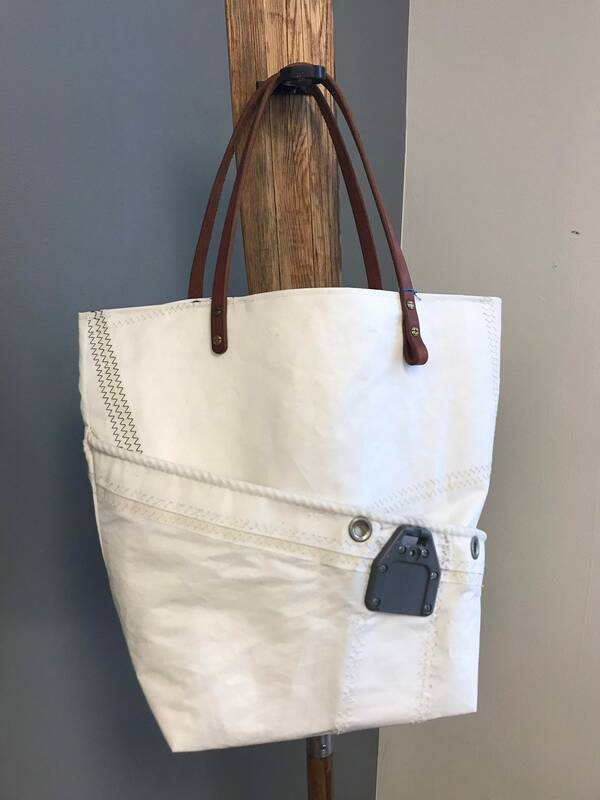 Made from recycled sailcloth, with four large pockets and a leather handle. 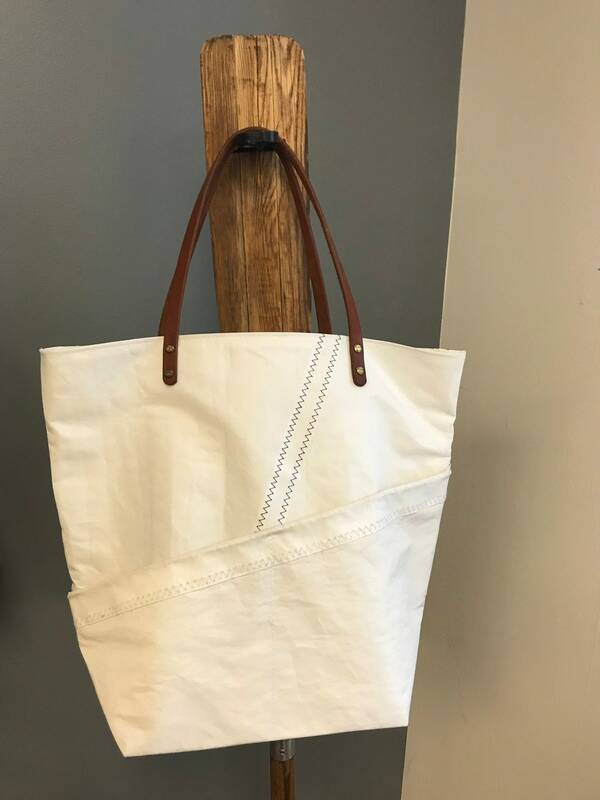 The sailcloth tote bag, large purse, beach bag, travel tote is made to last. I use mine for everyday items. 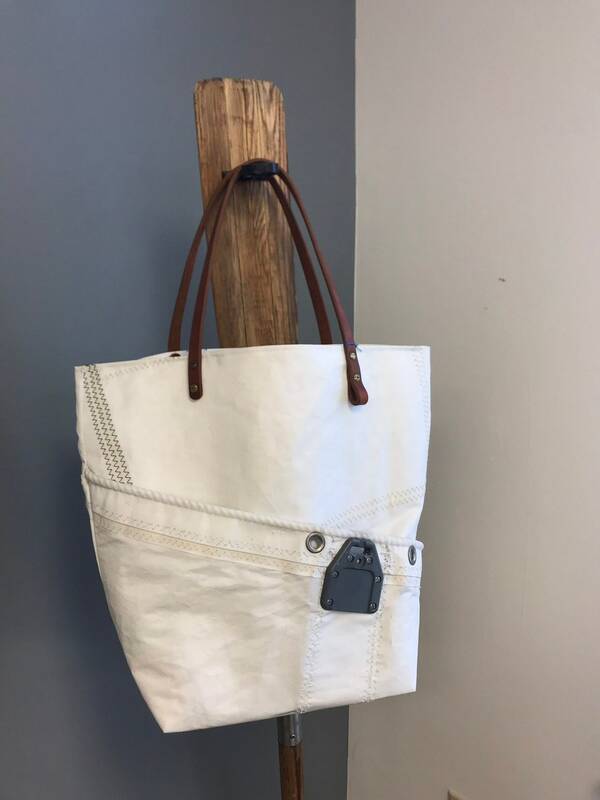 Made in my shop in Michigan from sails. 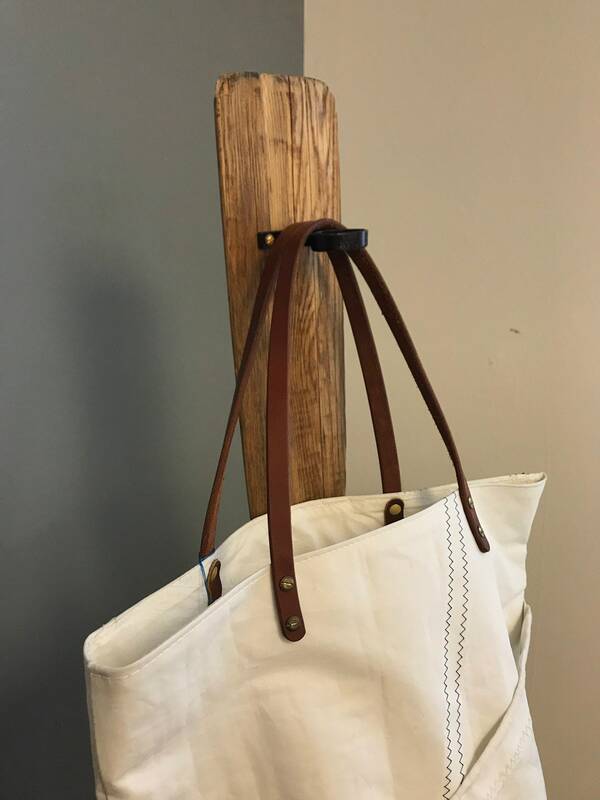 I make each bag as your order is placed. 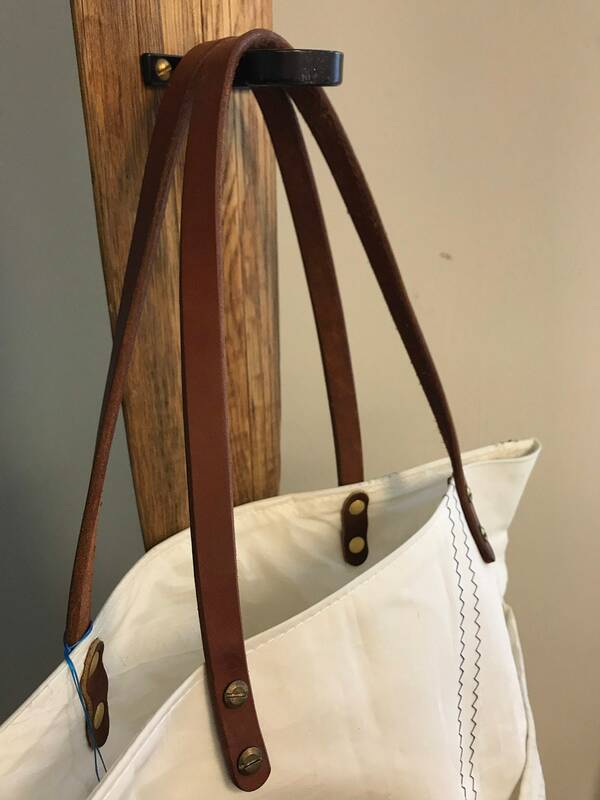 Each bag has an original sail seam, though the placement of the seam will be different in each bag. 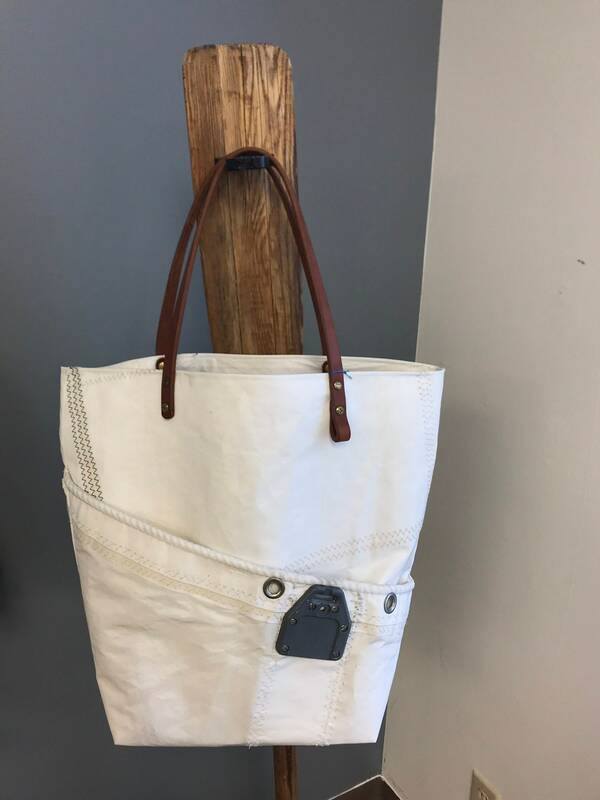 The bags dimensions are 18 in. long, 7.5 in. wide and 21 in. tall.